II-VI EpiWorks opened an expansion of its center of manufacturing excellence in Champaign, Illinois. 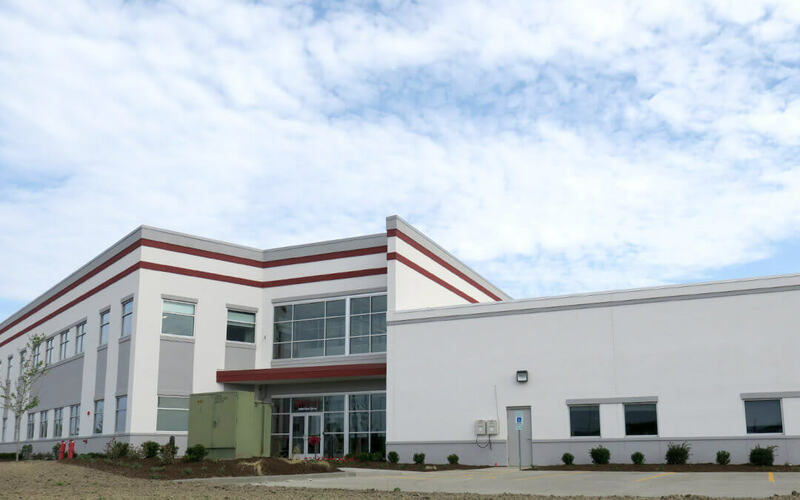 The company’s state-of-the-art facility is a manufacturing center for compound semiconductors that makes epitaxial wafer products. The expansion will quadruple production of products that enable some of the most exciting new consumer electronics in the world. “II-VI and the State of Illinois have formed a strong partnership, sharing a vision that businesses with leading edge technology and advanced manufacturing capabilities are the most competitive over the long-term,” said Dr. Chuck Mattera, President & CEO, II-VI Incorporated. “With support from Illinois, we expect to continue to invest in this Champaign facility, by adding state-of-the-art manufacturing capacity, improving process capabilities, broadening the product portfolio and recruiting and developing a lot of talent to fill the anticipated growth in jobs and opportunities for career growth,” he added. II-VI EpiWorks, a subsidiary of II-VI Incorporated, was founded by faculty and graduate students of the University of Illinois at Urbana-Champaign Micro+Nanotechnology Lab (MNTL). II-VI EpiWorks has committed to keeping the company in Illinois and to help make the university the center for semiconductor research, commercialization and manufacturing. According to state officials, II-VI Epiworks launched an aggressive plan to hire experienced managers, engineers and technicians to run the facility and ensure the company’s position in the compound semiconductor global industry. The company hopes to benefit by recruiting from the local tech graduate market.The facility currently employs 111 and it is expected to hire more tech personnel.